It’s often, to my way of thinking, what you don’t see in the photograph that has the greatest potential to transmit information. 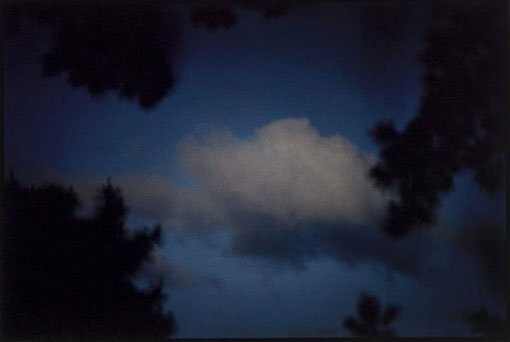 Bill Henson: cloud landscapes brings together 14 works from the Gallery’s collection that traverse Henson’s oeuvre in order to give insight into the shifts and continuities throughout his expansive career. Showing recent works alongside a small selection from the Paris Opera Project 1990/91 and the ‘Mahler’ series 1976-, the exhibition highlights Henson’s sustained interest in depicting landscapes as well as figures, while drawing out the importance of music. Henson has become known for his brooding alchemical blacks, which he combines with reliefs of colour and bright light. The consistency in the work is his musing on the infinite capacity of imagination and indeed the likelihood that depicting what-we-cannot-see (namely, the dark) induces imaginative states or reveries.